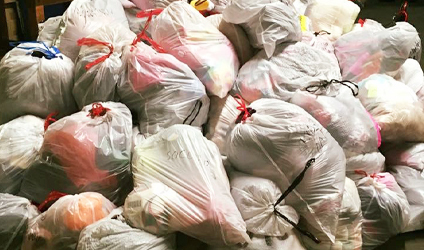 Refugee families in Syria are due to receive a shipment of donated soccer balls and cleats headed overseas through the organization NuDay Syria. The used equipment was collected at Seacoast United's indoor facilities during the month of December, and was delivered to NuDay's drop off point in Nashua, NH over the weekend of January 7-8th. 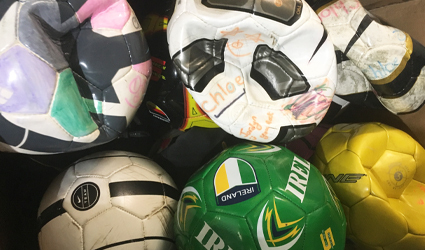 Equipment donations are collected through Seacoast United's KickBack program, which looks to assist local, national, and international organizations with the collection of used sports equipment. Through connections within the club, Seacoast United has been able to send equipment to several different countries over the past few years, including Ethiopia, Haiti, Honduras, Jamaica, and Tanzania. Drop boxes are available at all Seacoast United indoor locations in Hampton, Kingston, and Concord NH, Amesbury MA, and York ME. Donations are being collected throughout the winter months and we welcome all to participate. 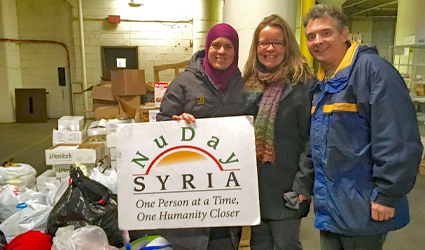 NuDay Syria is a non-profit organization focused on bringing humanitarian aid inside Syria and to help displaced Syrians in the bordering areas around Syria. They focus on bringing housing and food to displaced families with single mothers or wounded family members. Learn more about NuDay Syria by clicking here. 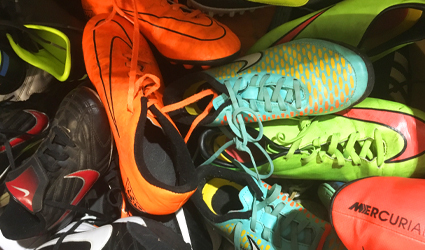 Throughout the month of January, Seacoast United will be collecting donations of used soccer balls and cleats through the Club’s “KickBack” program. Drop boxes are available at all SUSC indoor facilities (Hampton, Kingston, Concord, Amesbury, and York), and donations will be distributed to organizations looking to assist children with these equipment items. Learn more about Seacoast United's KickBack program by clicking here.